Board President Dr. Scott Pike is a graduate of Pacific University College of Optometry. In 2006 he retired from private practice and is now an assistant professor at the College working in clinical instruction. Enfoque Ixcán was created in 1997 by Scott and a health promoter, Pedro Chom, in the village of Santa Maria Tzeja, Ixcán. Even though neither could speak the other’s language, their dedication to the project overcame that barrier. Now, forty trips to Guatemala later, Scott has passable Spanish. The project has done better and enjoys success. 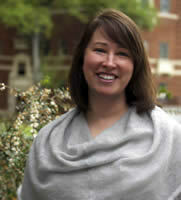 Amanda Terhes is the Director of Affinity Research at the C2C Project at Oregon State University. The C2C Project provides market research services to a variety of professional clients and is part of the Austin Entrepreneurship Program in the College of Business. Amanda’s focus is on qualitative research methods with an emphasis on the development and sustainability of non-profit organizations. While earning her M.A. degree in Applied Anthropology, Amanda worked as an intern for Enfoque Ixcán. Amanda visited the Ixcán in February, 2006. Board Treasurer Dwight Fleck has been employed in risk management for over 37 years as an analyst, manager and consultant. 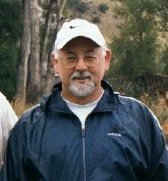 He has also served as a leader in a boys camping based program for over 20 years. For over 15 years he served as Treasurer and member of the Board of two churches. Board Secretary Dr. Brian Arvidson graduated from Pacific University College of Optometry and completed a residency at the Portland Veterans Affairs Medical Center. He currently serves as adjunct faculty at Pacific University and works as a physician at Pacific Cataract & Laser Institute, a surgery referral center, in Chehalis, Washington. 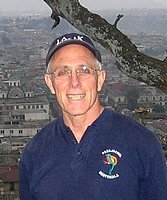 Brian has traveled throughout Central and South America during undergraduate school and has been a member of the Enfoque Ixcán medical team since 2005. His wife and two sons enthusiastically support his medical mission endeavors and hope to travel with him one day. 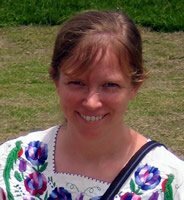 Alexandra (Ali) Durbin works with human rights issues within the international solidarity community in Guatemala. A Massachusetts native, Ali has lived in Guatemala for 11 years. 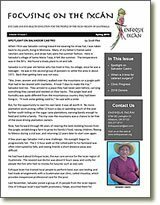 She took her first trip to the Ixcán at the age of 14, hiking three hours through the rain forest to reach the K’iche’ Maya community of Santa Maria Tzejá. She is a free-lance writer, translator, and editor, as well as mother to two children, Chely (born in 2006) and Kayala (born in 2009). Her husband works on human rights cases in the Guatemalan justice system. Facebook Manager Dr. Cristin Mattione is a graduate of Pacific University College of Optometry. While at Pacific, she became acquainted with Enfoque Ixcán through the AMIGOS program, a student group that organizes trips to provide eye care in developing countries. She went on the student trip to the Ixcán region in 2009 and helped to lead a trip in 2010. 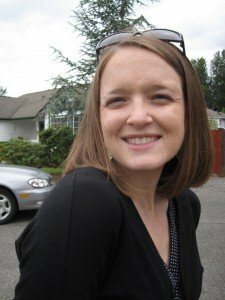 Currently, she works part-time as an Optometrist specializing in Vision Therapy in Lynnwood, Washington. Cristin enjoys spending time with her husband and two toddlers.